Have you ever experienced a car shipping emergency? Perhaps you are unsure how to get your car shipped from Atlanta to Los Angeles… Maybe you need an enclosed carrier to ship a luxury car overnight. Whatever you need, here at Nationwide Auto Transportation we can help you with all your need for your car shipping from Atlanta, GA to Los Angeles, CA. Nationwide Auto Transportation can ship your car or truck on time and on budget. Since we have trucks covering the route between Atlanta to Los Angeles every other day, we’re able to offer the most competitive rates. Shared open car carriers make shipping a car between Atlanta and Los Angeles affordable, as you share the rate with other vehicles using the same truck. Shipping a car can save a lot of money, compared to driving the car from Los Angeles, CA to Atlanta, GA. When covering such a distance, you will need frequent rest stops with take out food, long hours of sitting at the wheel, and daily overnight stays for the duration of the trip. On top of that, you risk driver fatigue (a leading cause of fatal auto collisions) and wear and tear on your vehicle. Shipping your car from Atlanta to Los Angeles with Nationwide Auto Transportation is a good deal, because you share the space on the truck with other cars. Since the truck also brings cars back from Los Angeles to Atlanta, you only pay for the first leg of the trip – from Atlanta to Los Angeles. Why ship your car from Atlanta, GA to Los Angeles, CA with Nationwide? When you ship your car to Los Angeles from Atlanta, or from Atlanta to Los Angeles or any one of the other routes, it will be insured. That means that you can rest assured that in the unlikely event that your car should sustain damage, you can claim for the repairs. Nationwide Auto Transportation has been working in the industry for more than 15 years, moving around one thousand cars a month. The Atlanta to Los Angeles route is one of our most popular routes. Our business continues to grow from strength to strength, thanks to the great references and reviews we receive from happy customers. We are all licensed, bonded and insured. Yes, your vehicle is insured when you ship your car from Atlanta to Los Angeles. The US Department of Transportation requires all auto transporters maintain a valid insurance policy. Nationwide Auto Transportation takes the additional step of requiring all carriers in our network to list them as additionally insured. 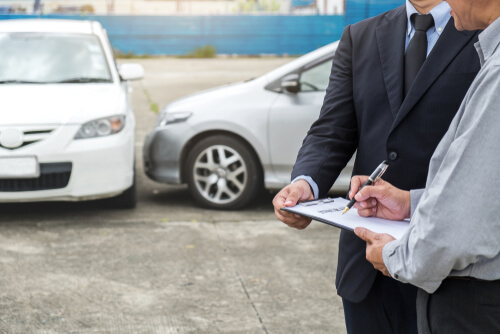 This means that, in the unlikely event of an accident, if that agent is unable to cover the claim, Nationwide Auto Transportation is able to file the claim through their insurance company directly. Can I load my vehicle up with personal items when shipping my car from Atlanta GA to Los Angeles CA? It is not recommended to place any personal items or valuables in your vehicle when you ship your car from Atlanta to Los Angeles. Not only are items not insured during transport, but the DOT regulates what can be transported. The DOT can fine a transporter $10,000 if found to be carrying household goods. Moving companies are the only companies licensed to transport household goods. No firearms, hazardous materials, or illegal contraband are allowed at any time. Which methods of payment are acceptable when shipping a car from Atlanta to Los Angeles? Nationwide Auto Transportation accepts all major credit cards or any type of certified funds as payment for your service when you ship your car from Atlanta GA to Los Angeles CA. If you wish to pay upon delivery, a deposit is required and the balance must be paid in full to the driver in cash or certified funds on delivery. Yes. Either you or an authorized agent must be present to sign for the condition of your vehicle at both pickup and delivery when you book car shipping from Atlanta GA to Los Angeles CA. How far in advance should I plan to ship my car from Atlanta to Los Angeles? Placing your vehicle shipment order as far in advance as possible, will help ensure your vehicle is picked up and delivered for car shipping from Atlanta GA to Los Angeles CA within your requested time frame. You can shop around and call us back, but we offer the most experience and the best rates when you ship your car from Atlanta to Los Angeles through NAT. 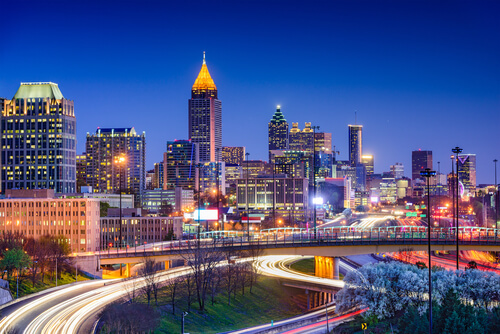 We also offer $50 OFF on military, snowbird and student car shipping from Atlanta GA to Los Angeles CA, so call us now or fill the form to the right to request a free quote.